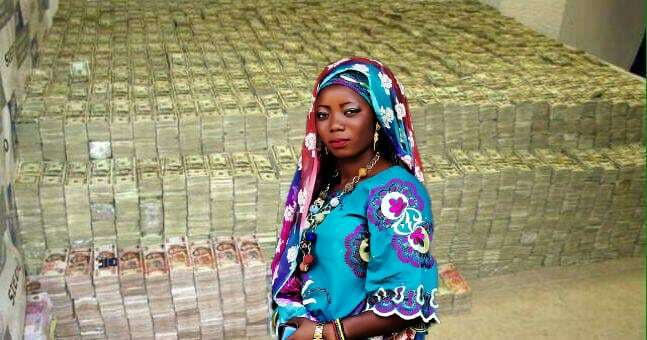 Nigerian police who found $10 million cash in a widow’s spare bedroom said she had been trying to give it away for years. Mary Abacha, 42, claimed she had been offering the money to Brits since 2011, but “none of the buggers” had replied to her emails. “It was all perfectly legal, but I just wanted to put it in a bank in Britain where it would be safe. I emailed lots of people I found on the internet who I thought could be trusted to take the money and deposit it. “As a reward for their kindness, they would get $1 million to keep. Police say Mrs Abacha, whose husband died in an unfortunate car accident, had done nothing wrong, and they had now persuaded her to deposit the $10 million into a local finance establishment instead. Inspector Adeleye Iyabo told Reuters news agency: “There must be many thousands of people in the UK kicking themselves right now. If they had only replied to Mrs Abacha’s email, they would be wealthy beyond their wildest dreams.